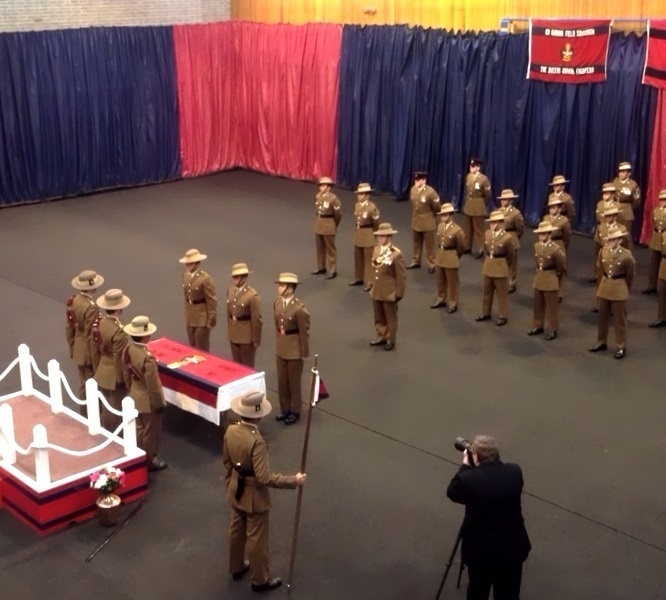 On 21 January 2014, the Queen’s Gurkha Engineers’ new Sappers (67 Training Party) had their ‘Kasam Khane’ parade. 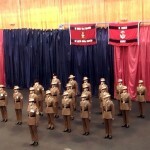 On this day, they took an oath of allegiance on QGE’s flag in front of the reviewing officer and QGE members. 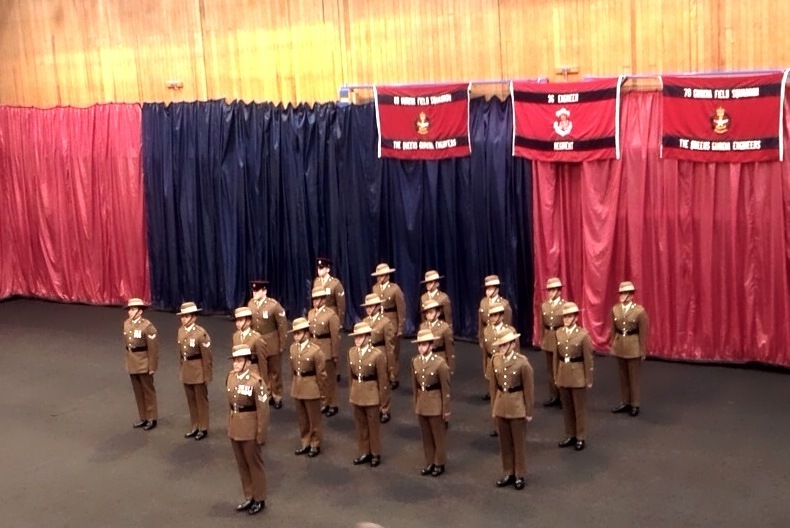 The reviewing officer for the parade was the Col of the Regt, Maj Gen T Y Urch CBE and took place inside the gymnasium of 36 Engineer Regiment at Maidstone. 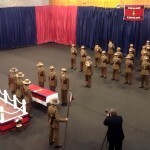 The parade was led by Captain Bishwa Rai and included fifteen sappers, four JNCOs and one SNCO. Along with the oath taking ceremony, two awards were presented; the top student combat award was presented to Spr Indraman Gurung, it is given to the individual who scores the highest marks in their theory and practical tests on all subjects covered during the course. 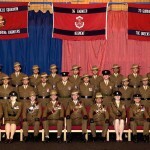 The overall top student award was given to Spr Rupesh Gurung, which is given to the person, who in the eyes of their instructors, has performed very well throughout the combat engineering phase and basic military skills phase, whilst maintaining the highest level of values and standards of the British Army. 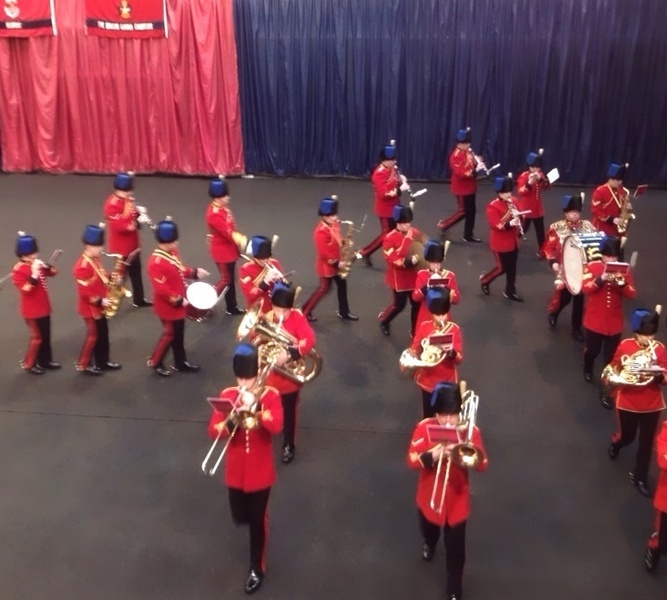 The parade was followed by a curry lunch in the Regimental function hall. 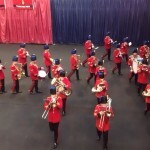 The new training party entertained all the VIPs and guests with their very own type of dancing skills. Now the training party will go on to their respective trade courses. 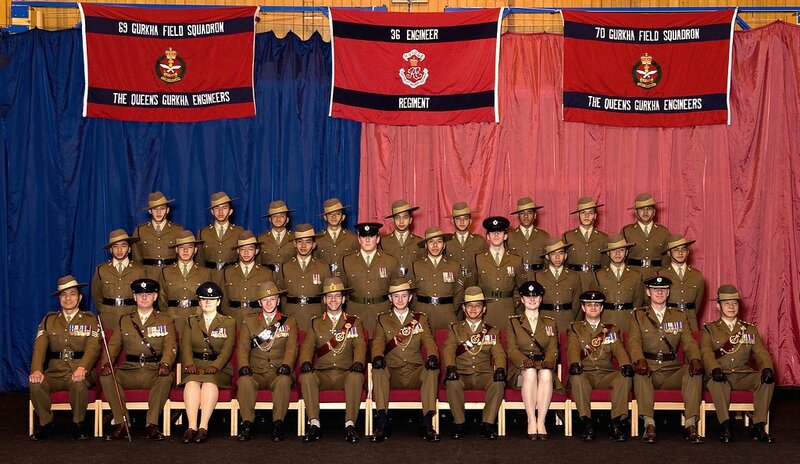 We wish 67 Training Party a very bright future ahead in the QGE.